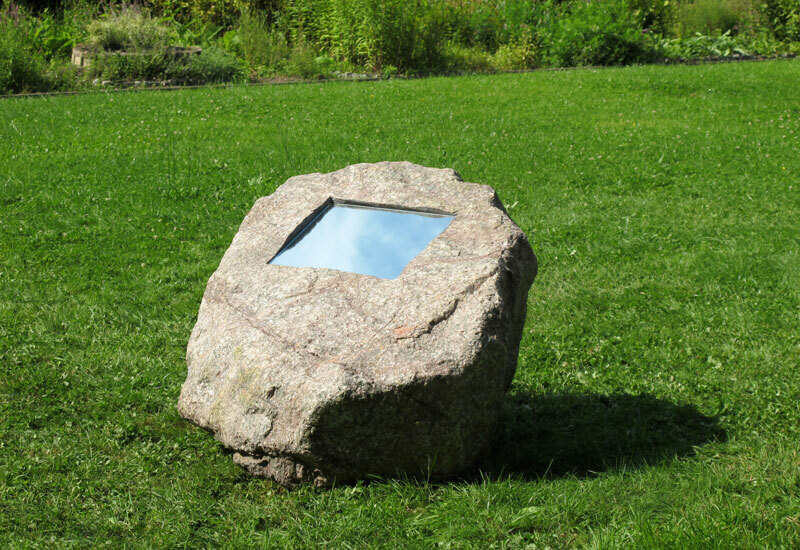 The Pleasure of Recognition, a large boulder cut to hold an information panel, typical of the kind often found in zoos or nature based tourist attractions. 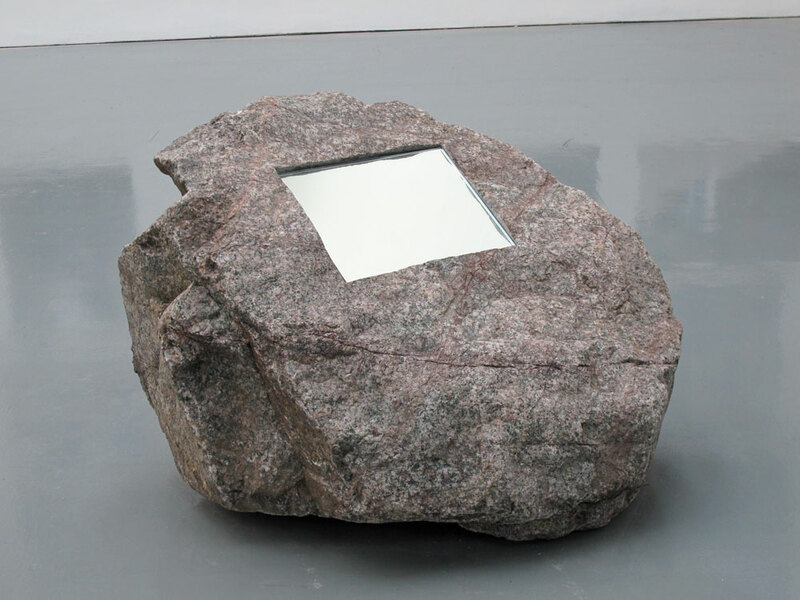 In place of an explanatory text the rock offers a mirror that reflects the viewer’s own image. The title refers to a psychological term developed by Sigmund Freud, who argued that humans experience pleasure when they are familiar with what they encounter.